(Bloomberg) -- Saudi Arabia is nearing completion of its first nuclear reactor, satellite images of the facility show, triggering warnings about the risks of the kingdom using the technology without signing up to the international rules governing the industry. 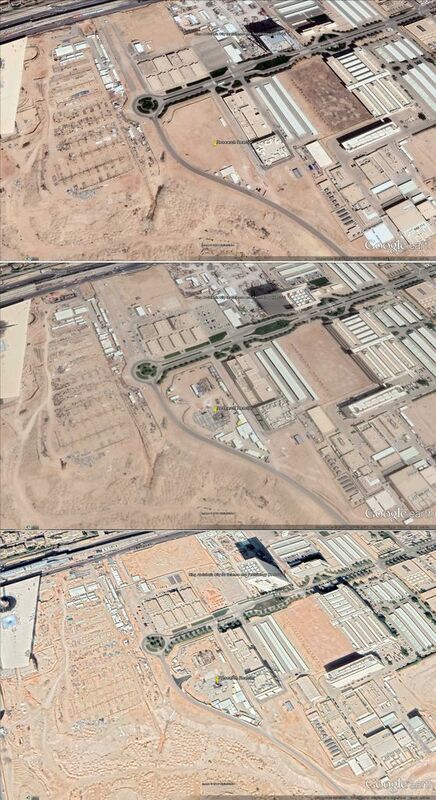 The research facility is located in the southwest corner of the King Abdulaziz City for Science and Technology in Riyadh, according to images published by GoogleEarth. They’re the first in the public domain to confirm that the program is advancing, showing construction nearing its finish around a columnar vessel that will contain atomic fuel. The advancement is alarming to arms-control experts because Saudi Arabia has yet to sign up to the international framework of rules other nuclear powers follow to ensure that civilian atomic programs aren’t used to build weapons. Nuclear fuel providers won’t move to supply the unit until new surveillance arrangements have been sealed with the International Atomic Energy Agency in Vienna. Saudi Arabia’s energy ministry said in a statement the facility’s purpose is to ``engage in strictly peaceful scientific, research, educational and training activities in full compliance with international agreements.’’ The reactor is being built with transparency, and the kingdom has signed all international non-proliferation treaties, the ministry said, adding that the facility is open to visitors. While Saudi Arabia has been open about its ambitions to acquire a nuclear plant, less is known about the kinds of monitoring the kingdom intends to put in place. More arms-control experts are scrutinizing Saudi Arabia’s nuclear work because of official statements that the kingdom could try to acquire nuclear weapons. A little over a year ago, Crown Prince Mohammed Bin Salman said the kingdom would develop a bomb if it’s regional rival Iran did so. Those statements raised a a red flag within the nuclear monitoring community which is uneasy that it has more ability to access nuclear sites in Iran than it does in Saudi Arabia. “The much louder debate in Washington is about whether Saudi Arabia acquires nuclear weapons,” said Sharon Squassoni, a researcher and former diplomat on non-proliferation issues at George Washington University. Focus on the program has increased since the U.S. Congress opened an investigation into the potentially illegal transfer of sensitive technologies to the kingdom. The U.S. Government Accountability Office joined the probe this week, adding its weight as the federal watchdog assigned to examine work that U.S. companies are seeking to do in Saudi Arabia. Argentina’s state-owned INVAP SE sold the unit to Saudi Arabia, which plans to start it later this year. The vessel is about 10 meters (33 feet) high with a 2.7 meter diameter, matching specifications of other research reactors, according to Kelley, who also used images published by Zamil Industrial Investment Co. to reach his conclusion. 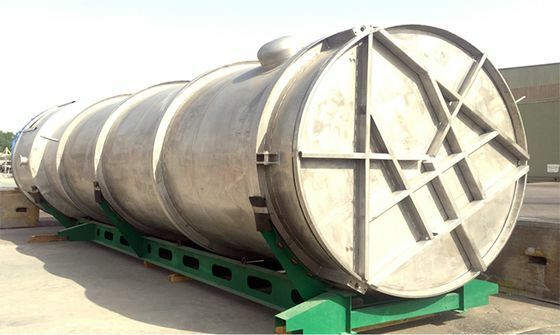 The steel vessel was made in Saudi Arabia. It will contain uranium fuel enriched to a purity well short of levels in weapons. Saudi Arabia is currently signed up to the IAEA’s so-called Small Quantities Protocol, a set of rules that will become obsolete once it needs atomic fuel. It hasn’t adopted the rules and procedures that would allow nuclear inspectors to access potential sites of interest. In the rarefied world of nuclear monitoring, the IAEA is responsible for sending hundreds of inspectors around the world to look after and maintain a vast network of cameras, seals and sensors. Their job is to account for gram levels of enriched uranium, ensuring that the key ingredient needed for nuclear power isn’t diverted to weapons. Without submitting to tighter IAEA monitoring, the kingdom would struggle to fuel its reactor. “Saudi Arabia will have to move to a full scope comprehensive safeguards agreement with subsidiary arrangements before the unit is fueled,” said Rafael Mariano Grossi, who is Argentina’s envoy to the IAEA. His comment marks the second time in a month that officials at the Vienna institution have reminded Saudi Arabia that it needs to follow stricter international rules before delving deeper into its ambitious nuclear program. The aim of monitoring is to ensure that nuclear materials used in a civilian power plants don’t end up going into a weapons program. The U.S. is focusing on whether Saudi Arabia will adopt a so-called gold-standard agreement that would make authorities in Washington comfortable with signing off on deeper involvement by U.S. companies. While the kingdom’s deal with Argentina allowed some work on the research reactor to progress, it can’t fill the monitoring gaps that need to be filled before the Riyadh facility is fueled, Squassoni, the Georgetown academic, said in an interview. The ability of IAEA inspectors to gain access to facilities in Saudi Arabia is currently restricted because its program is developing “based on an old text” of safeguard rules, IAEA Director General Yukiya Amano said last month. His agency is encouraging the kingdom to rescind those old rules and adopt a so-called additional protocol -- the most stringent inspection guidelines available. Amano is scheduled to hold meetings in Washington this week. 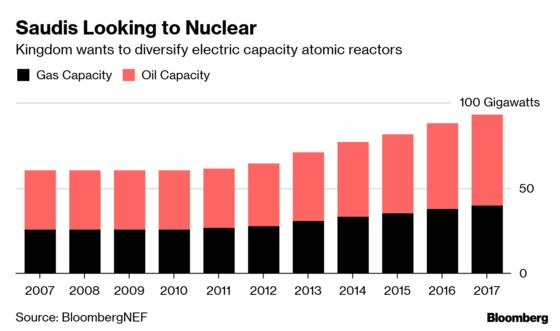 The 2013 deal between INVAP and Saudi Arabia opened the door to potentially lucrative new business for the debt-strapped South American country, which has been exporting research reactors for decades while also developing new modular power units. Those so-called Small Modular Reactors are a focal point of the kingdom’s nuclear ambitions, which aim for some 3.2 gigawatts of atomic power by 2030, according to an IAEA briefing given by Saudi regulators.